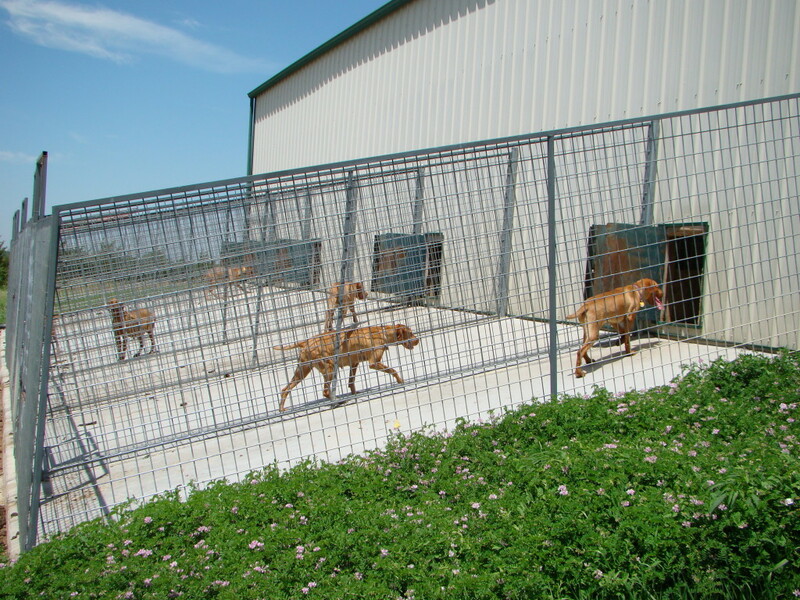 Prairie Vizslas | "Performance Worth the Price"
Prairie Vizslas is owned and operated by Mitch and Cindy Staatz and is located near Chapman, Kansas. We are licensed and inspected by the State of Kansas as a Hobby Breeder. Prairie Vizslas is also inspected annually by the AKC and a licensed Veterinarian. Our goal is to raise quality vizslas at an affordable price. Cindy is an elementary school teacher and Mitch works in manufacturing as a welder. Mitch, hunts Pheasant and Quail with our adults. All of our adult dogs are AKC registered, OFA certified, and our male has an AKC, DNA Profile. We have raised over 500 puppies that live in 38 states throughout the USA. All of our puppies are sold with a full AKC Registration Application and a Micro Chip for ID. Tails are docked, dewclaws removed, and puppies are up-to-date on shots and dewormed. Vizslas are very friendly, affectionate, and loyal dogs. These dogs don’t make good kennel dogs, they need to be active and stretch their legs. Also, they are great housedogs, perfect for children and the hunter in your family. These dogs like to hunt close, will point, and retrieve. Primarily used for hunting pheasant, quail, and grouse. They are quick eager learners, and they want to please you. Vizsla’s range in weight from 45-65 pounds. Females are generally smaller than males.